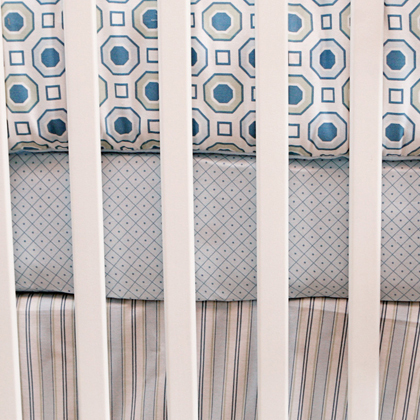 Once you've selected your crib, you will need to find bedding for it. I had more trouble finding the bedding than selecting a crib. All I could see at the stores in my area (you may have more luck depending on were you live) were frilly or cartoony options. There were also some solids but that's not quite what I was looking for. 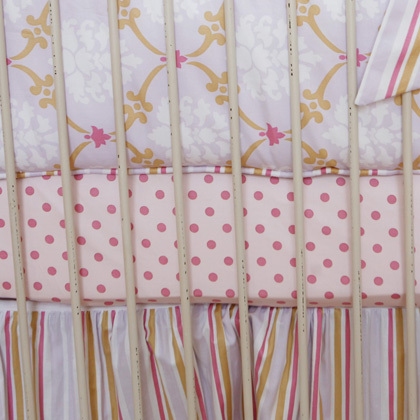 DwellStudio seems to be the most widely available brand of contemporary bedding for your little ones. 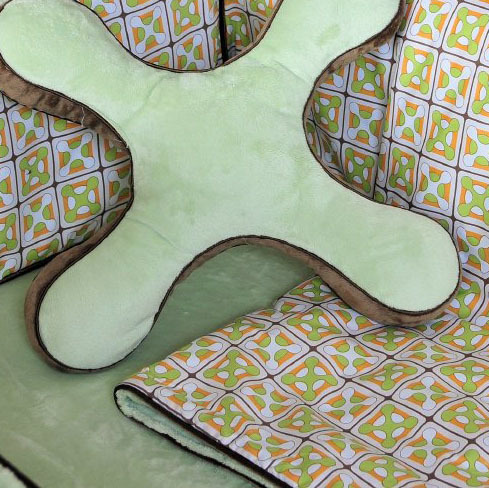 With its soft sophisticated colors and crisp contemporary patterns, your nursery will be a cool and stylish resting place for the baby in your life. 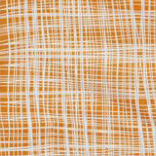 There are many online retailers that carry different patterns and you are likely to find a retailer that carries some of the patterns locally. 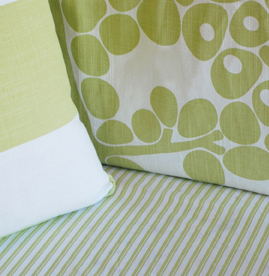 All their bedding is made with 100% organic cotton fabric and batting. Retail for about $540 for a 4 piece set, but pieces are sold separately as well. Click to buy. 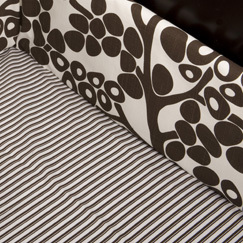 Oilo has a collection of 5 different bedding patterns available in different beautiful colors. 3-piece sets retail for about $399 or you can purchase the pieces separately. Click to buy. Beautiful, elegant sets with mix and match basics as well. Retail for about $390 for a 3 piece set. Click to buy. 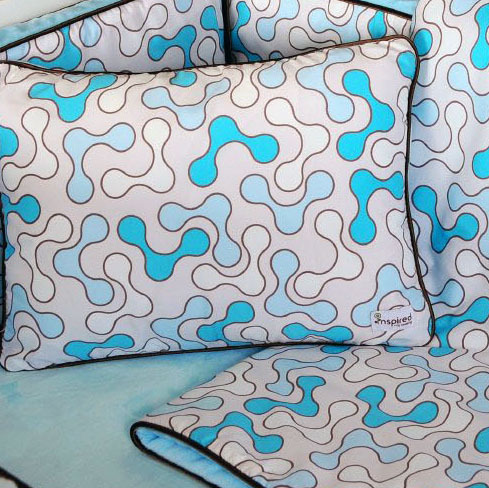 Annette Tatum has a variety of beautiful bedding sets for boys and girls. Retail for about $375 for a 3 piece set. Check out their fresh designs. They also have matching accessories and coordinating artwork. 4 piece sets retail for about $320. Click to buy. 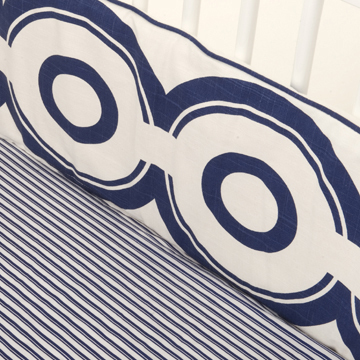 Their bedding comes in two patterns-- Geo and Geox-- each with three different color palettes. 4 piece sets retail for $299. Organic and affordable mix and match pieces.Click to buy. Shown are their Alphabet, Blossom and Pinwheel collections. Retail for about $180 for a 4 piece set. Click to buy. 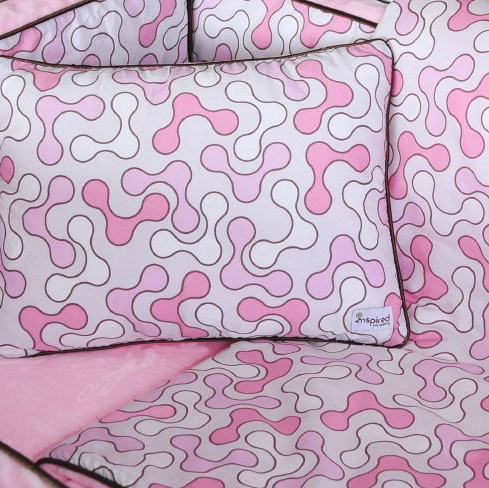 A fresh take on traditional bedding with whimsical prints and unexpected details. 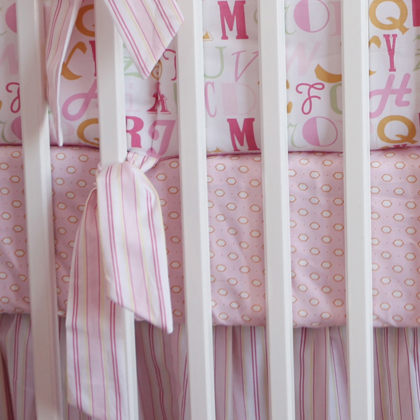 $4 for sheet, $150 for bumpers, $63 crib skirts and more. 320 tc from certified organic cotton. 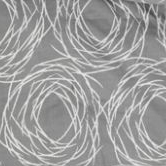 $40-$70 for sheet, $127 for duvet cover. Go to their website to get the idea. Click to buy.